Adobe Flash could not be started. Please install the latest version. Chimo! Eskimo Calypso chosen as a top 20 Finalist in the presetigious 11th Annual “Unisong” International Song contest created for songwriters… by songwriters. Eskimo Calypso was written in Toronto Canada 1988. It was conceived after reading an article by James Lovelock about the greenhouse effect and climate change in the polar regions. A transformational concern for the planet came over me and remains with me to this day. It was at a time when scientists like James Lovelock were alone speaking out about the catastrophic effects of global warming and its impact on the polar ice caps. Today 20 years later I witness the effect that the melting north has on the Inuit people and the impending impact on our world. When this song was written, the Inuit people had no voice in mainstream media and we knew little about their struggle to maintain an ancient way of life. Although Canadians now refer to the northern people as Inuit, in the eighties we still referred to them as Eskimo thus the original title was Eskimo Calypso. Some consider use of the title Eskimo Calypso as an ignorant choice or even worse racist. I am aware of this and choose to continue singing Eskimo Calypso because of its light hearted irony and its potential for creating awareness of climate change in the north. Inuit listening to the song laugh and notice within the body of the song a phrase I am Inuit in Inuktituk language to honor them as the people. Perhaps this song may bring attention to the Inuit eroding way of life in a changing land. My hope is that in some small way, it helps give them a stronger voice in world affairs. Life in the north is becoming uncertain and the weather Oogianaktook unfamiliar. 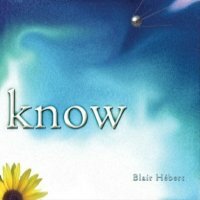 Blair Hebert is a Canadian singer songwriter living in Vancouver BC. Blair is acknowledged by both fans and peers to be a solid performer, gifted songwriter and an accomplished guitarist with a strong melodic voice. He performs regularly in Vancouver as a solo acoustic act or with his band the Swinging Detectives. 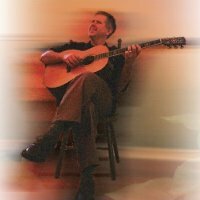 Blair is first and foremost a songwriter who performs his material locally and now distributes his recordings online through CD Baby. Like other community based musicians, he works close to home and is known as an artist who will shows up at benefit concert to contribute or perform for a local charity. Over the last few years Blair has built a following among seniors residences who contract him to play swing music and country classics at events. This has become a passion and a way of giving back to the elders of society. Today, Blair is best known as a Vancouver based Jazz artist who fronts a 3 piece combo The Hep Cats and before that the Swinging Detectives since 1998. He released an original swing EP in 2010 which is also available on CD Baby. His 2006 self-produced first full length songwriters CD titled KNOW draws on songs he has performed for years as a solo acoustic act. It is gets good attention among a grassroots audience and online through CD Baby and other music sites. Using many of Vancouver’s finest musicians, the CD KNOW is an acoustic groove driven compilation with tangy B3 organ and Latin percussion throughout, oh yes and accordion too. Blair performs songs from the CD on small stages around Vancouver. 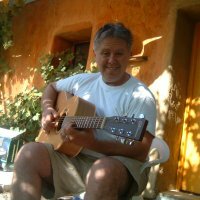 If you are interested to knowing more you can check out his profile and friend him on facebook or feel free to contact him via email. Chimo!